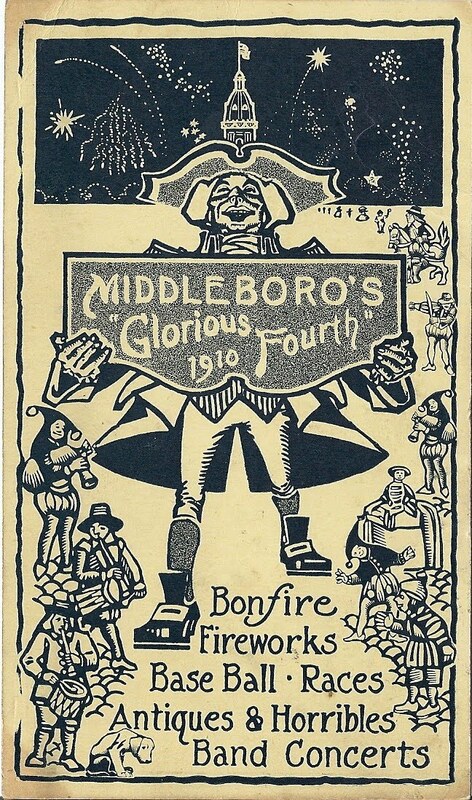 This postal card helped advertise events which were included as part of Middleborough's celebration of Independence Day a hundred years ago. 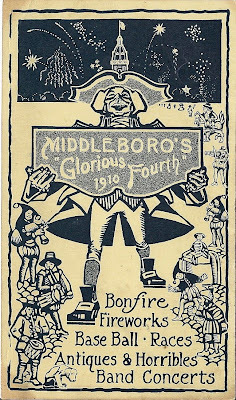 Included among them was a parade of "Antiques & Horribles", a tradition common to many communities in New England and beyond in which costumed participants dressed as horrifying or ridiculous characters. Notice the tower of Middleborough Town Hall just above the patriot's tri-corner hat. It's too bad we can't go back in time.